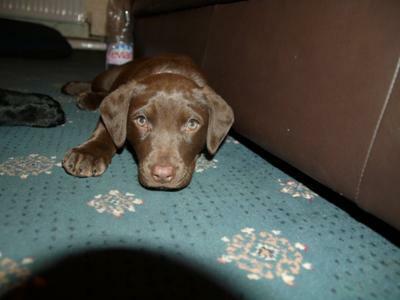 Lola the Lab is a chocolate girly with big ears and a big personality. She loves to run, and run, and run! 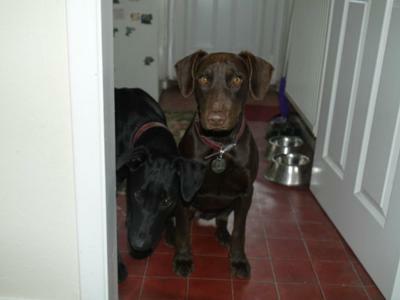 Rescued as a 5 week old pup from being drowned, with her black sister- we have nurtured and loved them like babies! Having turned a year old this month, they celebrated with new collars and some new toys! 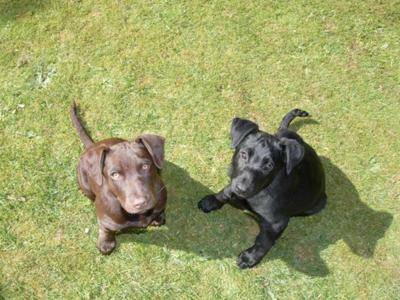 Both parents are pedigree, slender working labs, farm bred and rather slim line in comparison to their american counter parts!! Amazing pups, who have overcome so much hardship in the first five weeks of live, they have come on in leaps and bounds (Literally!) and are much loved members of the Handley household!